History has been a large part of Lonnie Shafer’s life as a newly retired High School history teacher. 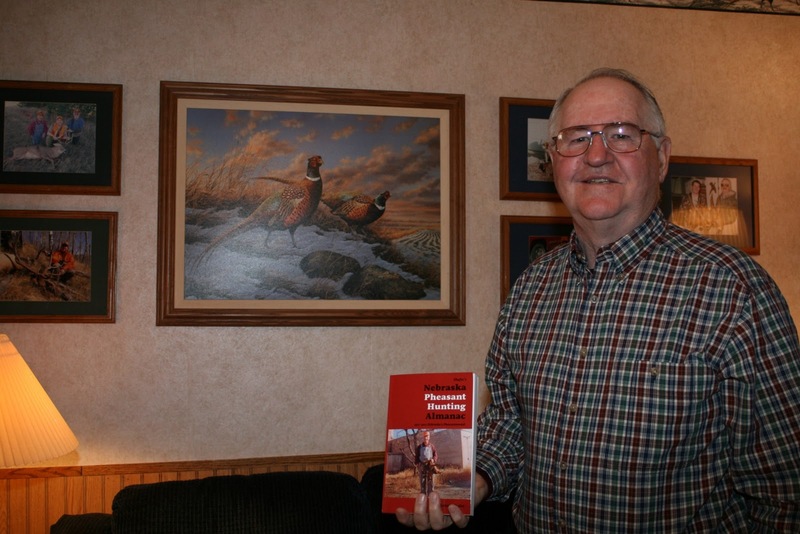 The long time Exeter-Milligan teacher and track coach has recently delved into history in his own life and the history of pheasant hunting in Nebraska with the publication of an almanac of Nebraska pheasant hunting. “I was looking for something to do and wondered what pheasant season was like when I was a kid. I contacted several people looking for a collection of information but found that the information was scattered, there was no collection,” said Shafer. What started as a time filler ended up consuming the greater part of two years for Shafer. 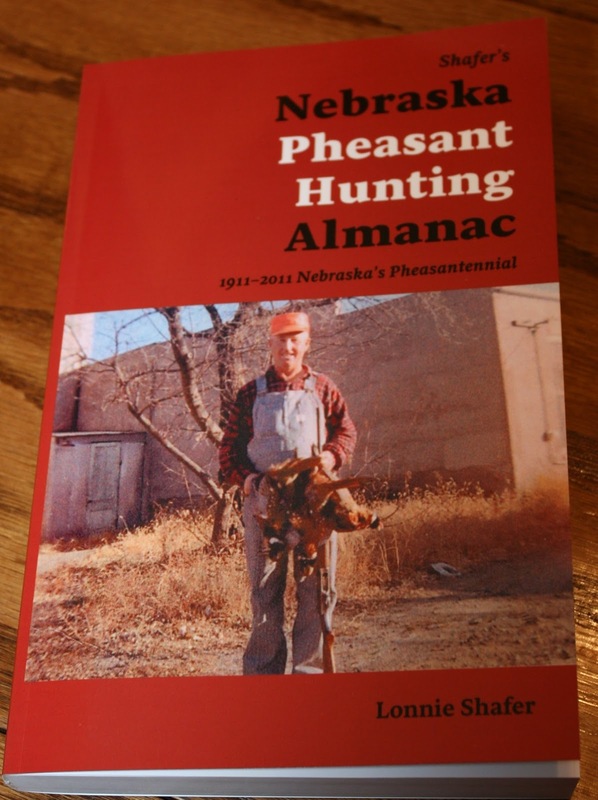 He ended up “collecting the history of 84 seasons of pheasant hunting in Nebraska and supplemented with information I gathered from the seasons and my own personal data from 55 years of hunting,” explained Shafer. He started with two great resources, Dr. Jeffrey Lusk, Upland Gaming Program Manager for Nebraska Game and Parks and Jon Farrar senior editor of NEBRASKAland Magazine. Shafer also turned to the Nebraska State Historical Library for some of his information. When he discovered through his research that the pheasant was introduced into the state by legislation of appropriated funds in 1911 he realized that 2011 would be the 100th anniversary of pheasants in Nebraska and decided to pursue writing a collection of all the information he was compiling into an Almanac format to release in time for the 100th anniversary. Shafer divided the Almanac into sections starting with the history of pheasants in Nebraska and dividing the next 10 sections of the book reviewing a decade of hunting seasons per section including a map of the state which shows the counties where hunting was legal, opening and closing days and starting in the mid-1950’s Shafer records estimated harvests, estimated hunters and estimated days hunting. 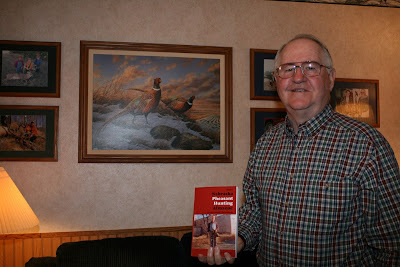 Not only does the book open a window to the world of pheasant hunting in Nebraska it also encourages responsible hunting. Shafer shares the details of youth hunting opportunities and how it has become a family opportunity. His father, who the book is dedicated to, shared his love of hunting with him and now he has shared it with his sons. His son, Jeff, of York, is now his primary hunting companion along with their other hunting companions, their dogs. The almanac is chock full of interesting information about pheasants, their coloration, their habitats and their lifestyle. Shafer also shares many excerpts from his own hunting diary and experiences making the book very readable for the non-hunter as well. Ya, I want to read this, very cool idea. Grew up with a hunter Dad and always had a bird dog on the farm.